Baking is such a joy. Every time I bake something and the results are up to my expectations my joy has no bounds. I feel on cloud 9. 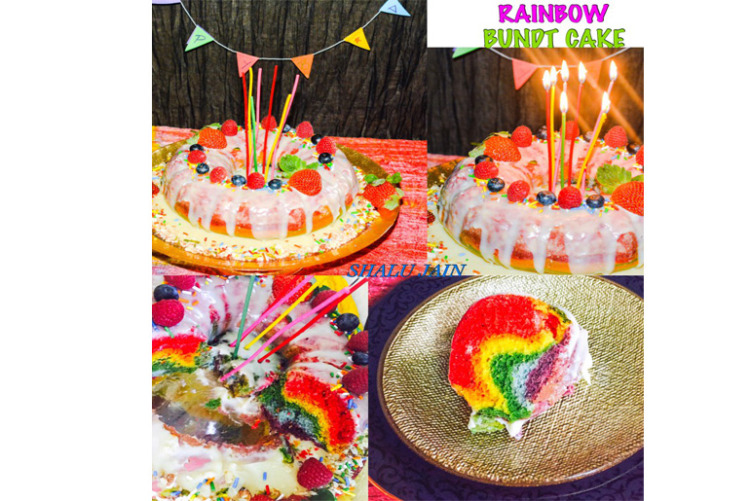 I baked this beautiful Rainbow Bundt Cake for my Hubby’s B’Day. 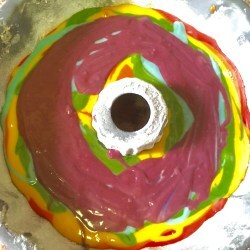 A simple vanilla flavored cake in bundt pan. Need not to say just a look brought a bright wide smile on his face. The colors, the layers, the texture, the ganache everything came out so well and so perfect,I think I need a pat on my back. 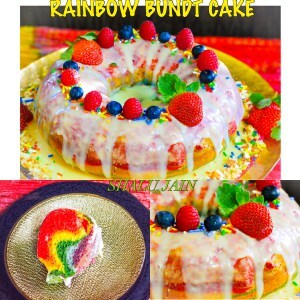 A Bundt cake is a cake that is baked in a Bundt pan, shaping it into a distinctive ring shape. 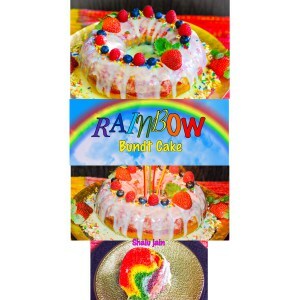 As such theres no specific or particular recipe for a Bundt cakes ; however their characterizing feature is their shape. 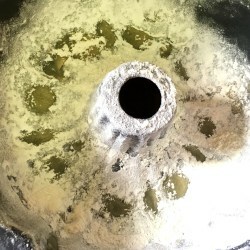 A Bundt pan generally has fluted or grooved sides, but its most defining design element is the central tube or “chimney” which leaves a cylindrical hole through the center of the cake. The design means that more of the mixture touches the surface of the pan than in a simple round pan, helping to provide faster and more even heat distribution during cooking. 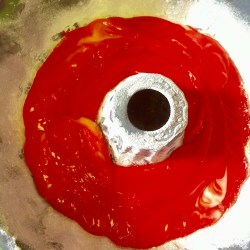 Prepare the Bundt Pan by spraying or applying oil generously and dusting with flour. 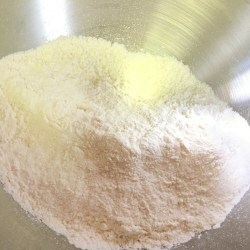 First sift the all purpose flour/maida with the baking powder and a pinch of salt in a mixing bowl or pan. Now take butter and melt it in a small pan or microwave. Just melt the butter, there is no need to heat it. When the butter is still warm, add the sugar to the melted butter. 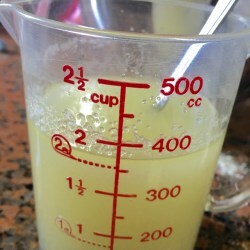 (If using oil just warm it a little bit). Stir and mix well. Keep aside. 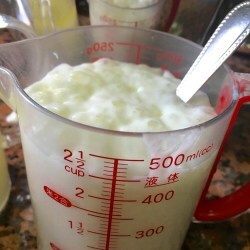 Now whisk the 6 tbsp yogurt + 2 tbsp water till smooth. Then add the baking soda and stir.This mixture will be frothy n bubbly. Pour the butter+sugar mixture, 1cup water and the frothing yogurt+vinegar+baking soda into the sieved flour. Be quick enough to fold and make a lump free batter. Do not over fold. 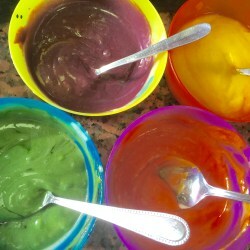 I wanted a Rainbow Cake so divided the batter in 6 parts and added few drops of each color to the batter. 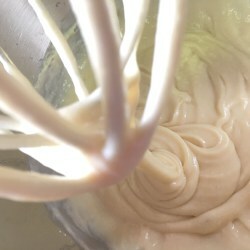 Pour the batter one by one in the bundt pan till 3/4th. 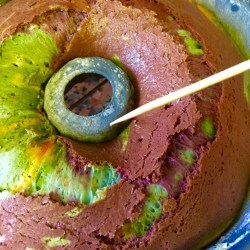 Start with Red colored batter followed by Orange then Yellow,Green,Blue and in the last Voilet. Shake and tap the sides of the tray so that air bubbles are released. Place the pan in the preheated oven in the center rack. 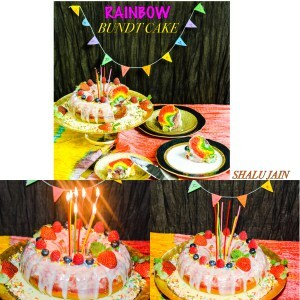 Bake at 180 degrees C for 25-30 minutes or till a skewer inserted in the cake comes out clean. Invert the pan on a plate or a wire rack. 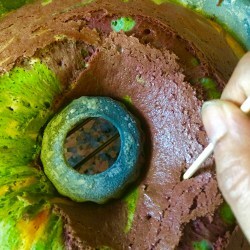 If you have greased n floured the pan well the cake will glide out smoothly. Enjoy it as it is or can pour some ganache. I’ve poured some white chocolate ganache over it. In a bowl break the pieces of chocolate n melt in Microwave for 20-30 secs. 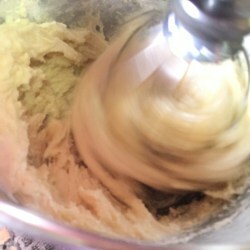 In a separate bowl warm butter and cream together for 30-40 secs. Just warm it and not boil it. 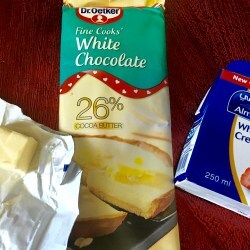 Mix together melted chocolate n cream butter mix. Pour it over the cake. 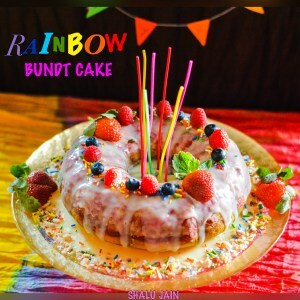 Garnish the cake with colorful sprinkles and some fruits.